Canadian researchers have traced the origins of the opioid crisis to one letter published almost 40 years ago. The letter, which said opioids were not addictive, was published in the New England Journal of Medicine (NEJM) in 1980. Dr David Juurlink says the journal's prestige helped fuel the misguided belief that opioids were safe. His research found that the letter was cited more than 600 times, usually to argue that opioids were not addictive. On Wednesday, the NEJM published Dr Juurlink's rebuttal to the 1980 letter, along with his team's analysis of the number of times the letter was cited by other researchers. "I think it's fair to say that this letter went quite a long way," Dr Juurlink, who is head of clinical pharmacology and toxicology at Toronto's Sunnybrook Health Sciences Centre. The original letter, titled "Addiction Rare in Patients Treated with Narcotics", was just a paragraph long. The lone evidence cited was an anecdote that out of 11,882 hospitalised patients were treated with narcotics, only four patients with no history of addiction became addicted. This paragraph should have triggered a host of red flags, says Dr Juurlink. The letter only described the effects on hospitalised patients, not on patients who had chronic pain and would need to take painkillers regularly. It also only described the effects of narcotics that are no longer used today - and yet it was cited by many as proof that modern drugs such as OxyContin were safe outside of the hospital setting. "I don't think it mattered that it didn't say much, what mattered was its title and its publication, and those two things went a long way," Dr Juurlink said. 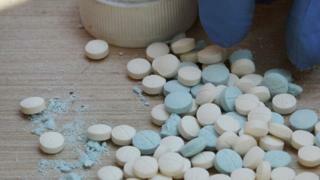 It is now widely accepted by medical researchers that opioids are highly addictive, he said. In 2016, the British Medical Journal urged doctors to limit opioid prescriptions in order to combat the overdose crisis in the US and other parts of the world. In 2007, the makers of OxyContin pleaded guilty in federal court to "misbranding" by falsely claiming OxyContin was less addictive and less subject to abuse than other pain medications. This week, Ohio became the second state after Mississippi to sue opioid manufacturers for unleashing "a health care crisis that has had far-reaching financial, social, and deadly consequences". The letter's author, Dr Hershel Jick, says he never intended for the article to justify widespread opioid use, and has testified for the government about how these drugs are marketed. "I'm essentially mortified that that letter to the editor was used as an excuse to do what these drug companies did," Jick told The Associated Press. "They used this letter to spread the word that these drugs were not very addictive." Dr Juurlink believes that the misinformation that resulted after the letter's publication would not happen today. Back then, he said, if you wanted to read the original letter, you would need to go to a library. Many of the people who cited the 1980 letter were just plain "sloppy" he said and didn't do their diligence. Now, it's easy to read the original 1980 letter online, as well as Dr Juurlink's rebuttal. "It would be taken apart overnight on Twitter", he said. There is now an editor's note on the original letter in the NEJM: "For reasons of public health, readers should be aware that this letter has been 'heavily and uncritically cited' as evidence that addiction is rare with opioid therapy."